BANDUNG--MICOM: PT Dirgantara Indonesia (Persero) sedang mempersiapkan pembangunan pusat keunggulan pertahanan dan dirgantara bekerja sama dengan mitra-mitra dalam dan luar negeri. Dalam persiapan rencana itu, Kepala Humas PTDI Rakhendi Priyatna, Sabtu (31/3), mengatakan bahwa Direktur Utama PTDI Budi Santoso telah menandatangani kerja sama tiga pihak, PTDI, Nusantara Secom Infotrch (NSI), dan Dassault Systemes (DS) Prancis. Penandatanganan dilakukan pada Jumat (30/3) di Bandung. Kedua penandatangan lainnya, Presiden Dasault Systemes, Forestier, dan Managing Director NSI, Reinhard Sitorus. Kerja sama Kemitraan Kreasi jangka panjang bertujuan membangun pusat unggulan di bidang pertahanan dan dirgantara. Dirut PTDI Rakhendi mengatakan bahwa kerja sama ini sungguh membuat PTDI semakin bernilai di mata internasional, dan ini akan berdampak besar bagi kelancaran rancang bangun dan produksi N219, pesawat tempur KFX/IFX, dan program-program lainnya. Apa yang disepakati ketiga perusahaan bukanlah terjadi tiba-tiba. Ketiga pihak sudah saling mengetahui dan memahami kemampuan masing-masing, baik dari sisi sumber daya manusia, khususnya para insinyur (engineers) yang dimiliki, pengalaman, maupun fasilitas masing-masing. Dalam kerja sama ini PTDI berkomitmen untuk menyiapkan insinyur, tempat kerja, jaringan kerja, dan proses bisnis untuk pengembangan dan sertifikasi. NSI yang sarat dengan pengalaman dan memiliki insinyur yang berkualitas dan mampu menyiapkan perangkat lunak dan pelayanan. NSI berkomitmen untuk mendukung pusat rancang bangun, mengembangkan kemampuan staf serta membangun pusat pertahanan dan dirgantara bersama. NORTH CHARLESTON, SC (WCIV) – The Coast Guard Cutter Dallas was decommissioned today after 45 years of service. A ceremony was held at the Federal Law Enforcement Training Center, Pier Papa at 10 a.m. Friday. "Many crews have accomplished remarkable and even historic deeds aboard Dallas in her 45 years of service," said Vice Admiral Robert C. Parker, commander of the Coast Guard Atlantic Area. The Dallas was involved in several major drug busts this year. Parker said it was due to the work of a remarkable and unique crew that the 45-year-old vessel could easily reach top speeds, launch boats and Coast Guard helicopter in pursuit of drug smugglers throughout its deployment. Parker said Dallas' last crew was the best crew. "These folks always got Dallas back in the hunt as one of the most capable cutters in the Caribbean. During the final patrol, the crew of the Dallas interdicted approximately 4,000 pounds of cocaine and 940 pounds of marijuana during two separate cases while on patrol in the Caribbean Sea. Coast Guard Cutter Dallas is scheduled to be transferred through the Foreign Assistance Act to the Philippine government for service in their navy. MELBOURNE, FL/BRISBANE, AUSTRALIA — Harris Corporation (NYSE:HRS), an international communications and information technology company, has received an AUD$14.7 million (approximately US$15.2 million) order to provide the Australia Department of Defence with customer field support for Harris radios procured under its tactical radio modernization program. The order highlights Harris' capabilities in providing service and support for its tactical radio systems worldwide and leverages the recent opening of its Asia-Pacific headquarters in Brisbane. 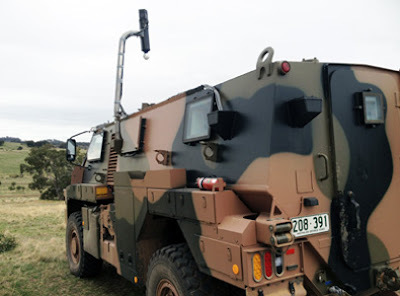 Australia has procured, and will install and deploy, mounted and dismounted Harris Falcon III® AN/PRC-152(C) multiband, multi-mode radios in vehicular and handheld configurations for line-of-sight and beyond-line-of-sight voice and data communications and Falcon II® AN/PRC-150(C) manpack radios for high-frequency beyond-line-of-sight terrestrial communications. Both radios are being delivered to the Australian Defence Force (ADF) under the Joint Project 2072 Battlespace Communications program. Harris will provide a broad range of support services to the ADF for these radios, including training, installation, maintenance, system integration and engineering. "Harris is committed to delivering best-in-class products and systems as well first-rate support to our military and public safety customers around the world," said Brendan O'Connell, president, International Business, Harris RF Communications. "Our program management, engineering and customer service teams are the best in the business and they will ensure the smooth deployment and integration of our tactical radio systems." The AN/PRC-152(C) is the most widely deployed JTRS Software Communications Architecture-certified and NSA Type-1 certified handheld radio, with more than 160,000 units shipped to U.S., NATO and other allied forces worldwide. The radio provides voice and data capabilities over the 30 MHz to 512 MHz frequency range and supports SINCGARS, Havequick II, VHF/UHF AM and FM, APCO P25 and both DAMA and the new Integrated Waveform for satellite communications. The Falcon II AN/PRC-150(C) is part of the most-widely deployed family of HF radios and the only one to offer NSA-certified Type-1 information security. The radio covers the 1.6 MHz to 60 MHz frequency range and comes with a removable keypad/display unit. AUSTRALIA can expect to pay about $130 million each for its first two Joint Strike Fighter (JSF) aircraft and an average of about $85 million if it opts to buy 100. These increased cost figures come in the US Defence Department's selected acquisition report for 2011 (SAR11) presented to Congress overnight. 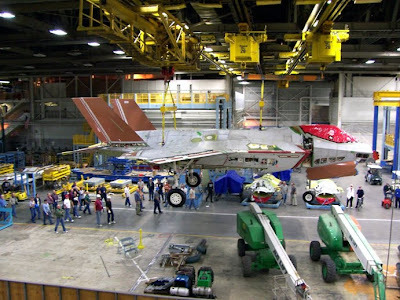 The report is an update on major US defence programs including the Lockheed Martin F-35 JSF. Despite the apparent price hikes, the Australian Defence Force is confident final prices will be lower because the most recent fixed-price incentive contract was significantly below the SAR10 cost estimate. Australia's first two aircraft will be produced in a later contract lot. SAR11 shows an increase in costs owing to a number of factors, although it is not the substantial blowout tipped by some commentators. One change relates to accounting practice, with JSF costs now based on 2012 dollars rather than the 2002 dollars used over the past decade. Taking into account inflation, that indicates an apparent cost increase of some 25 per cent. Real cost increases apparently stem from decisions by the US and other nations to defer purchase of 242 aircraft until later in the program. That has the effect of delaying the move to high-rate production when greater efficiencies drive costs down. 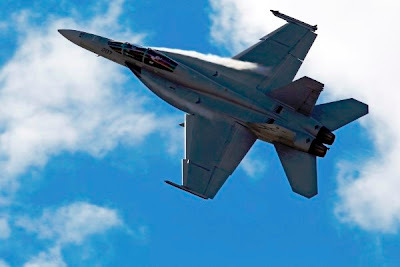 As well, Lockheed Martin faces unspecified additional costs to rework existing aircraft to overcome faults discovered during the test program, an issue referred to as concurrency. Australia is considering acquiring up to 100 JSF aircraft but has so far contracted to buy just 14. A decision on the next tranche of 58 will come next year. JSF has faced steady criticism that it will be late, expensive and won't deliver the promised level of capability. For Australia, SAR11 indicates Australia's first two aircraft, scheduled for delivery in the US from 2014, will cost about A$130 million, based on 2012 prices and a US1.03 exchange rate. Each of the first 14 aircraft will average about A$110 million, in line with previous defence estimates. Across the entire program of 100 aircraft, Australia can expect to pay an average of $85 million each, compared with a $75 million figure cited in 2008 and based on the less favourable US$0.92 exchange rate. Because JSF development will continue for at least the next four years and the start of full rate production has been pushed out to 2019, definitive JSF costs remain elusive. In Canberra last week, JSF program head Tom Burbage said Australia could still expect to pay an average $US70 million ($A67 million) with early production aircraft costing more and later aircraft less. 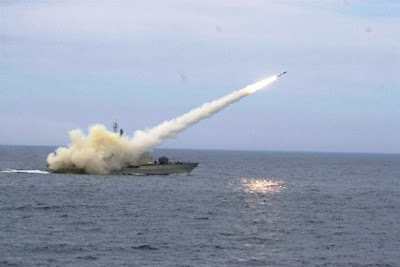 Naval Institute of Technology (Navy) has successfully built a research target designation systems outside the realm of equipment on board and the system receives target designation, automatically calculate firing parameters for missile navigation. Operating system reliability, meet the technical requirements, set out strategies, contributing to improving the functionality and efficiency to fight for the rocket ship. The function of target designation system and shoot element calculations for missile navigation is detected target reconnaissance, target transmission parameters of headquarters and missile forces, fighter aircraft to conduct the target in an unexpected way beyond radar fire, security and computing elements fired rockets fired out of range. Currently, many countries continue to military research and development, using target designation system modernization. Russian military production and use of the Ka-32 has the function indicator targets. Many countries use target designation system mounted on the aircraft early warning but generally the cost of these systems are expensive (up to hundreds of millions of dollars). The scientists at the Naval Institute of Technology has studied the application of information technology, automation technology to design, build target designation system from external equipment on board the plane on the sea. Building a system to receive target designation and automatically calculates parameters for missile firing; installation testing and system integration on board and build computing software, and synchronous data transmission system target designation system capable of detecting observed, indicating the target missile, ensuring its full range of the missiles for sea. System indicator targets on the sea for sea missile with low cost, reliable operation, meet the requirement, set out strategies. The system has been installed, successfully tested and delivered to the unit for training and combat readiness. Along with the target designation system is, to put to use target designation systems will help improve combat readiness of naval forces. 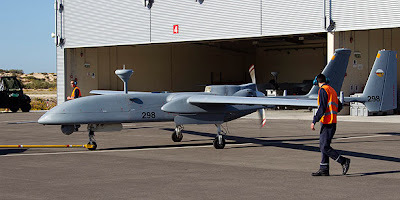 Minister for Defence Stephen Smith and Minister for Defence Materiel Jason Clare today announced that a second Shadow 200 Tactical Unmanned Aerial System (TUAS) will be delivered for use by Australian troops preparing to deploy to Afghanistan, almost one year ahead of schedule. 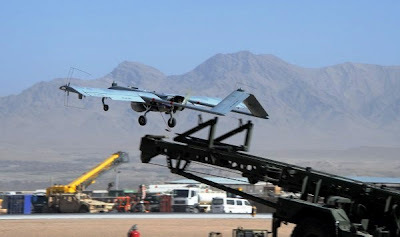 The first of the two Shadow 200 Tactical Unmanned Aerial systems was delivered in August 2011 and is currently operational in Afghanistan. Each Shadow 200 System comprises five aircraft, ground control stations, a launch and recovery element, and associated equipment, logistics and training. The US Army and Marines first used the system in Iraq and have been using it operationally in Afghanistan. Other nations such as Sweden and Italy are also procuring the Shadow 200 system. The Shadow 200 system has been purchased through the United States Foreign Military Sales program. Originally scheduled to be delivered in the first half of 2013, the United States has now agreed to deliver the second system to Australia in the first half of this year. The accelerated delivery of the second system will enable Australian troops preparing to deploy to Afghanistan to train with the Shadow 200 system in Australia. The first Shadow 200 system is currently operating in Afghanistan and will be certified as fully operational in the near future. It has already completed more than 220 hours of successful testing and training. The two Shadow 200 systems are being acquired through Joint Project 129 (Phase 2) at a total cost of over $90 million. 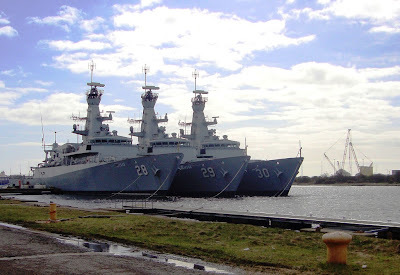 MANILA, Philippines—The Philippine Navy plans to hold joint maritime exercises with its Vietnamese and Thai counterparts as part of efforts to strengthen ties with the navies of neighboring Asian countries, a military spokesman said. Lieutenant Colonel Omar Tonsay disclosed this following the visit of a Philippine Navy delegation led by its chief, Vice Admiral Alexander Pama, to Vietnam on March 11-14 and Thailand on March 14-17. 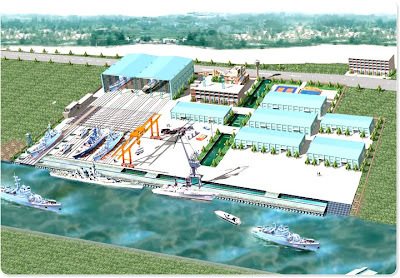 The Philippine delegation toured the Naval Shipyard X46 or the Hai Long Shipbuilding Co. in Vietnam, which is equipped with state-of-the-art shipbuilding and repair facilities and which is capable of building warships and military vessels, Tonsay said. “This visit is expected to provide opportunities for the conduct of joint maritime exercises in the West Philippine Sea (northeast of Vietnam) and other common maritime domains following proper diplomatic channels under guidance from the Department of National Defense,” Tonsay said. “Sharing of shipbuilding expertise is clearly seen as one possible area for cooperation during this tour,” Tonsay added. 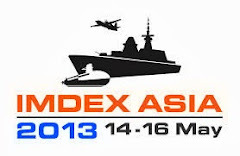 The delegation, he said, suggested possible training for Philippine Navy personnel at the X46 shipyard. Likewise, the leaders of the two navies discussed a proposal to establish a communication hotline between the operations centers of the Philippine Navy and the Vietnam People’s Navy (VPN) especially for search-and-rescue operations. Pama and VPN’s commander in chief, Admiral Nguyen Van Hien, also signed the standard operating procedure regarding interactions among Philippine and Vietnamese navies’ personnel in the vicinity of Southeast Cay and the Northeast Cay Island, located between the two countries. Nguyen offered to host the first “Navy to Navy Talks” with the Philippines in Vietnam in the last quarter of 2012, the Philippine Navy spokesman said. “The visit paved the way for continued Staff to Staff Talks and exchange of visits between the Philippine Navy and VPN, which is hoped to sustain the active engagements of the Philippine Navy and the VPN and effectively address maritime security issues in common maritime domains,” Tonsay added. 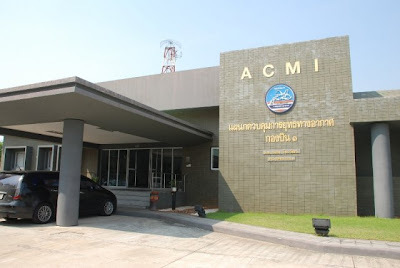 In Thailand, Pama and other delegation members met with the Thai Ministry of Defense and held exploratory talks on avenues of cooperation for the Philippine Navy and the Royal Thai Navy (RTN). Joint maritime exercises and ship visits by the Thai Navy to the Philippines were also discussed. Likewise, the RTN also committed to host Navy to Navy Talks to further discuss matters that will strengthen the bilateral activities of both navies. BATURAJA, KOMPAS - Tahun 2014 ditargetkan Indonesia sudah mampu membuat sendiri roket berdaya jelajah di atas 100 kilometer. Roket tersebut merupakan proyek jangka panjang dan kolaborasi teknokrat dan birokrat. "Ini sebuah perjalanan maraton kebangkitan industri pertahanan kita," kata Wakil Menteri Pertahanan Sjafrie Sjamsoeddin, Rabu (28/3), seusai menyaksikan uji coba R-Han 122 milimeter di Pusat Latihan Tempur TNI AD Baturaja, Sumatera Selatan. Uji coba ini sudah mengalami perkembangan dibandingkan uji-uji sebelurnnya. Sebelumnya, November 2011, peluncuran roket dilakukan dari dudukan berupa karung. Saat ini, PT Pindad sudah membuat peluncur roket yang terdiri atas 16 tabung. Sjafrie menilai, terjadi kemajuan yang signifikan walaupun harus ada pengembangan kualitas. Rencana berikutnya adalah mengadakan transfer teknologi untuk perbaikan. "Targetnya, jarak tempuhnya tahun 2014 sudah tiga digit dan akan menggunakan seluruh kemampuan multilaunch rocket system," ujarnya. Saat ini R-Han 122 yang berkaliber 122 millimeter itu memiliki jarak tempuh 14 kilometer. Roket ini diproduksi bersama oleh Kementerian Pertahanan serta Kementerian Riset dan Teknologi. PT Dahana membuat bahan peledaknya, PT Krakatau Steel membuat baja untuk nozzle dan merakitnya, sementara PT Dirgantara Indonesia memproduksi berbagai komponen seperti selongsong dan sirip. PT Pindad membuat hulu ledak (warhead) dan memodifikasi mobil untuk peluncur 16 tabung yang bisa berputar 360 derajat. "Uji coba hari ini penting karena berarti kita sudah membuktikan bahwa konsep kita sudah benar, tinggal memperbaiki saja," kata Direktur Utarna PT Pindad Adik A Soedarsono. Roket dalam strategi militer sangat penting dalam penangkalan dan penolakan. Defence Capability and Technology Demonstrator Program (CTD), managed by the Defence Science and Technology Organisation. The system analyses Full Motion Video imagery from EO/IR sensors to perform Mobile Target Indication from mobile ground vehicles to identify potential targets and threats. “A component known as Panoptes provides automated target detection from a stationary, sweeping camera. In Greek mythology, Panoptes was a giant with 100 eyes,” Hinge says. A separate Ground Change Detection component can identify variations in a landscape, between successive camera transits through an area. Desert Owl, currently in the sixth of nine Technology Readiness Levels, could be applied to any ADF land vehicle. The CTD Program was established to improve priority Defence capabilities. It provides Australian and New Zealand industry and research organisations an opportunity to demonstrate technology and allows Defence to assess its potential and associated risks. SHANGHAI – Hawker Beechcraft Defense Company (HBDC) today announced it has kicked off a two-week demonstration tour in New Zealand with its T-6C Texan II military trainer. The tour began this week at the Royal New Zealand Air Force’s (RNZAF) 75th Anniversary Air Show at RNZAF Base Ohakea, near Palmerston North. The T-6C was flown from HBDC’s headquarters in Wichita, Kan., to RNZAF Base Ohakea – a distance of 15,733 miles – in a total elapsed time of nearly 65 flight hours. The trip included stops in Canada, Greenland, Iceland, England, Italy, Greece, Egypt, UAE, India, Thailand, Singapore, Indonesia and Australia. During the RNZAF 75th Anniversary Air Show, HBDC’s aerobatic demonstration team will perform single-ship, low-altitude aerobatics in a standard equipped T-6C military trainer. The team will also participate in the Warbirds Over Wanaka Air Show on the South Island the following week. 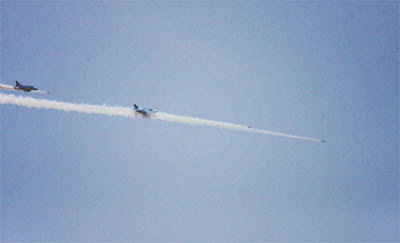 The T-6C aerobatic team debuted in 2011 at the Avalon Air Show in Victoria, Australia. 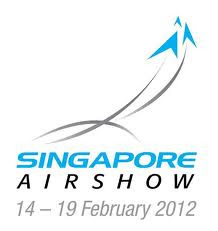 The team’s 2012 tour schedule will include performances at air shows such as Farnborough International Air Show, the Royal International Air Tattoo, the Atlantic Canada International Air Show and the Canada International Air Show. Its tour will also include U.S. demonstrations at Andrews (Md.) and McConnell (Kan.) Air Force Bases; Marine Corps Air Station Miramar (Calif.); Naval Air Station Pensacola (Fla.); as well as air shows in Oshkosh, Wis.; Columbia, Mo. ; Fort Worth, Texas; Atlanta, Ga.; and Houston, Texas. In addition to the hard-point wings, the T-6C features an integrated glass cockpit and the advanced Esterline CMC Cockpit 4000 avionics suite that greatly expands advanced training opportunities. The systems are integrated with a Hands-On Throttle and Stick, providing the student pilot and instructor with a simpler interface to the digital cockpit. The CMC Cockpit 4000 avionics suite is the first in its class to incorporate a fully integrated and FAA-certified dual FMS/GPS navigation suite that meets the navigation performance standards required for current worldwide airspace equipment. 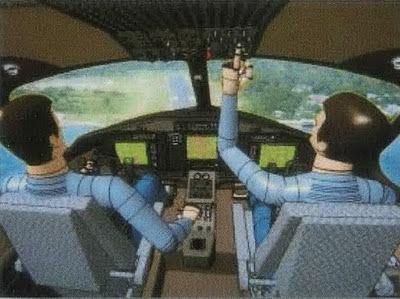 The open architecture design of the Cockpit 4000 provides the flexibility to expand capabilities and continuously meet current and future training needs. 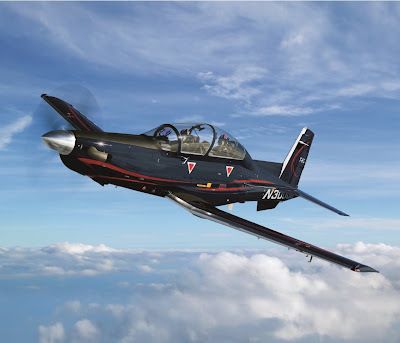 Deliveries of the T-6 began in 2000 after the aircraft was initially selected to fill the Joint Primary Aircraft Training System role for the U.S. Air Force and the U.S. Navy. Since then, additional military programs worldwide, including NATO Flying Training Canada, the Hellenic Air Force of Greece, the Israeli Air Force, the Iraqi Air Force, the Royal Moroccan Air Force and our newest customer, the Mexican Air Force, have chosen the T-6 as their primary trainer. To date, the company has delivered more than 740 T-6 aircraft. Baturaja, Sumsel (ANTARA News) - Sebanyak 50 Roket R-Han 122 produksi Indonesia, berhasil diujicobakan dengan ditembakkan ke sasaran di udara, di Pusat Latihan Tempur TNI AD Baturaja, Kabupaten Ogan Komering Ulu (OKU), Sumatera Selatan, Rabu. Deputi Menristek Bidang Produktivitas dan Relevansi Riset Iptek, Budi Teguh Raharjo sempat menunjukkan contoh roket R-Han 122 itu, kepada Wakil Menteri Pertahanan, Letjen TNI Sjafrie Sjamsoeddin, sebelum melakukan uji coba roket tersebut. Sebanyak 50 buah Roket R-Han 122 diujicobakan sebagai hasil pengembangan konsorsium dari Kementerian Riset dan Teknologi dan komunitas iptek serta industri strategis, guna mendukung kemandirian roket 2014 bagi Kementerian Pertahanan. Roket R-Han 122 memiliki kecepatan maksimum 1,8 mach dan jarak tembak hingga 15 km. Selain Wakil Menhan Sjafrie Sjamsoeddin, sejumlah pejabat Pemptov Sumsel dan Pemkab OKU, beberapa petinggi TNI, antara lain Pangdam II/Sriwijaya Mayor Jenderal TNI Nugroho Widyotomo dan Komandan Kodiklat TNI AD Letnan Jenderal TNI Gatot Numantyo ikut pula saat menyaksikan uji coba roket R-Han 122. Usai peluncuran, Wamenhan juga berkesempatan melakukan pengecekan pada mobil peluncur roket, untuk selanjutnya akan terus dikembangkan sebagai bagian program kemandirian penyediaan alat utama sistem pertahanan (alutsista) nasional. Menurut Kepala Biro Hukum dan Humas Kemenristek, Anny Sulaswatty, Roket R-Han 122 itu merupakan produksi hasil kerja sama anak bangsa Indonesia, diwujudkan melalui penelitian bersama PT Pindad, PT Dirgantara Indonesia, dan PT Dahana, didukung penuh Kemenristek. Ujicoba dan demo penembakan Roket R-Han 122 itu menandai keberhasilan bangsa Indonesia untuk menuju kemandirian produksi roket nasional di masa depan. Jakarta, DMC – Wakil Menteri Pertahanan dalam hal ini selaku Ketua High Level Comitte (HLC), Sjafrie Sjamsoeddin, bersama anggota Komisi I DPR RI, Senin (26/3) di Ged. DPR, Jakarta membahas rencana Modernisasi Alutsista dalam rangka kebutuhan TNI 2014 dengan menggunakan Alokasi Pinjaman Pemerintah (APP) atau Pinjaman Luar Negeri (PLN). Ketua HLC pada kesempatan Raker tersebut mengatakan hingga tahun 2014 didalam proyeksi Minimum Esential Force khususnya modernisasi untuk Alutsista bergerak, Kemhan dan TNI ingin melengkapi postur kekuatan pertahanan di setiap Angkatan. Sehubungan dengan hal tersebut, Kemhan juga memiliki rencana kebutuhan belanja (shopping list) alutsista bergerak prioritas hingga tahun 2014 akan mempergunakan pinjaman pemerintah dari luar negeri. Lebih lanjut Wamenhan menjelaskan, untuk Mabes TNI hingga 2014 memerlukan kendaraan taktis dan kendaraan angkut amunisi 5 ton dengan jumlah besar yang menurut jumlah pagu mencapai 110 juta Dolar. Sementara untuk Angkatan Darat, terdapat empat prioritas yang ingin dicapai, diantaranya Helikopter serang dan serbu termasuk persenjataan sebanyak 24 Unit, kendaraan tempur Main Battle Tank (MBT) jenis Leopard 2A6 sebanyak 44 Unit, ME Armed 155 Howitzer, Rudal MLRS dan Rudal Arhanud. Sedangkan untuk proyeksi kebutuhan modernisasi Alutsista untuk Angkatan Laut, Kapal Pemukul dengan jenis Klas Korvet, Kapal Pendukung, pesawat Udara jenis CN-235 MPA dan Helikopter AKS, Tank Amfibi BMP-3F serta Panser Ambfibi BTR 80 A. untuk penawaran baru yakni 3 kapal Selam dan 2 Unit PKR namun bisa dikirim setelah tahun 2014 dan 3 unit Fregat (MRLF) namun juga masih dalam proses pengusulan anggaran. Untuk Angkatan Udara, Shoping list ini tertuju kepada pengadaan SU-30 MK2 dan dukungannya, pengadaan pesawat angkut CN-295 sebagai pengganti pesawat F-27. Ditambah lagi pengadaan Helikopter Full Combat SAR Mission, pengadaan pesawat latih sebagai pengganti AS-202 & T-34C. Totalitas pagu yang di butuhkan untuk bisa memenuhi kebutuhan khusus untuk alutsista bergerak pioritas mencapai 3,741 juta Dollar. Berkaitan dengan hal tersebut, Ketua Komisi I DPR RI, Mahfudz Siddiq, pada akhir raker itu mengatakan, Komisi I DPR RI mendukung daftar pengadaan Alutsista TNI TA. 2010-2014 yang sumber pembiayaannya di alokasikan dari Alokasi Pinjaman Pemerintah (APP) Kemhan/TNI TA. 2010-2014. Namun demikian Komisi I DPR RI memberikan beberapa saran, antara lain agar dapat mengupayakan dilakukannya amandemen terhadap daftar State Loan Agreement Tahun 2007 antara Pemerintah RI dengan Pemerintah Federasi Rusia, sehingga pengadaan 6 unit Sukhoi Su-30 MK2 dapat menggunakan skema pembiayaan State Credit. Memperhitungkan dengan cermat kondisi dan spesifikasi, dislokasi serta proyeksi biaya pemeliharaan dan perawatan dalam pengadaan MBT Leopard 2A6. Memperhatikan dengan serius dampak penggunaan pesawat intai tanpa awak (UAV) terhadap kerahasiaan pertahanan dan keamanan RI. Memastikan kelayakan pembelian 3 unit kapal perang kelas Fregat (MRLF) oleh TNI AL. Dikatakan Mahfudz Siddiq, Komisi I DPR RI mendesak Kemhan/TNI untuk terus melakukan pembenahan terhadap sistem adminstrasi dalam pengadaan Alutsista TNI. Menurut dirinya Komisi I DPR RI akan menyelesaikan pembahasan terkait permohonan pencabutan dana bertanda bintang untuk pengadaan barang/jasa melalui PHLN/KE, sebelum penutupan Masa Persidangan III Tahun Sidang 2011 – 2012. Forum Raker pembahasan tentang rencana modernisasi alutsista ini juga dihadiri oleh Para Kepala Staf Angkatan, Sekjen Kemhan dan sejumlah pejabat di jajaran Kemhan dan TNI. (MAW/SR). THE Cocos Islands' airfield would require a $75 million-$100 million upgrade before the territory could be used as a base for US drones, says Defence Minister Stephen Smith. Amid heightened Chinese sensitivities over Australian-US military ties, Mr Smith played down the short-term prospects of using the Cocos Islands - a remote group of coral atolls and islands in the Indian Ocean - as a staging point for US spy flights. 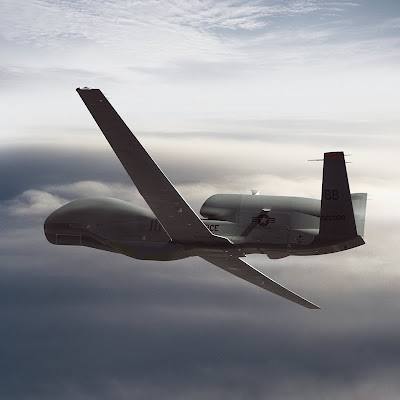 Pentagon planners are considering basing Global Hawk drones and manned surveillance aircraft from the Cocos Islands - about 2750km northwest of Perth - to carry out patrols far out over the northern oceans. Mr Smith said he and his US counterparts had agreed a “substantial infrastructure upgrade” was required before the Cocos Islands could be considered for use as a joint US-Australian base. “My memory of the costing of that was somewhere between $75-$100 million. No-one is proposing that occur in the first instance or in the near future,” he said. Mr Smith said the priorities for the deepened Australian-US military relationship were the deployment of US Marines in Darwin and the bedding down of arrangements for US use of Australian air and naval bases. HMAS Stirling, in Perth, is reportedly being eyed by the US for use by aircraft carriers and nuclear-powered submarines. An initial 250 marines will arrive in Darwin in coming days - the first of 2500 to eventually be deployed in the Northern Territory. Mr Smith said rotational arrangements for the force were being finalised between Australian and US officials. The Greens said the Cocos Islands must not be used as a base for US drones. “Surveillance may sound innocent enough to some, but the role of this base will be to make it even easier for the US military to strike and kill at will,” Greens defence spokesman Scott Ludlum said. “If the past 40 years has taught us anything, it's that we must be wary of being complicit in these misadventures. He said US attack drones had caused large numbers of civilian deaths. Recently, at the shooting range TB3, the fighter unit - Su-22M4 striker/bomber, UH-1/Mi-8 transport/armed helicopter of 370 Division conducted live-fire exercises. In two days 23-24/3, shot at the National School Region 3 (TB3), 370th Air Division held a practice test used missile, rocket and bomb from fighter and helicopter. The exercise is an opportunity to evaluate the possibility of training for combat readiness of the 370th Division and represent experience and additional training options in next time as well as training organizations to participate in sea shooting practice as planned in 2012. On behalf of the General Staff to participate in directing the training and testing is Major General Nguyen Duc Kidney, Director General Military Training. Representatives of the Air Defense Command - Air Force Major General Nguyen Van Tho, Deputy Commander, Chief of Staff. In the dazzling sunshine of the Southwest, Division commanding officers and 370 officers and soldiers of the two pilots of the 917th Helicopter Regiment and the 937th Fighter Group at headquarters, on the icy ground and flight the air was working hard, serious, highly effective training. 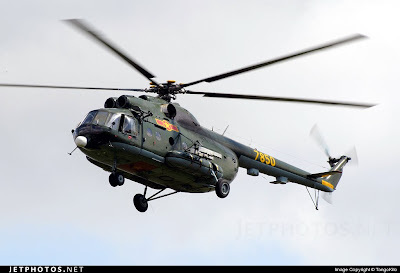 Before 7am, the Mi-8 crew and UH-1 (917th Regiment) and the fighter squadrons - Su-22M4 bomber (Regiment 937) was waiting in the ready command. After about 20 minutes from the airport to the south, the border sorties team practice all tactical air forces, such as coil, low flying mountainous terrain advantage then suddenly plummeted increase the height of the target than fire rocket, missiles and bombs. Just about 5 minutes there is another round of air strikes on ground targets. Through the vision system and listen to the commanding officer on the bridge reported, people are glad to see young pilots to shoot, very accurate throw. Naked eye, after a series of thundering explosions beams, we also recognize the right column of smoke up a red flag area, the white flag of the target. In particular, during a practice flight shot, bombed on this land, boldly division first assigned to some young pilots (the youngest born in 1984) and use the UH-1 helicopter improved weapon control system. 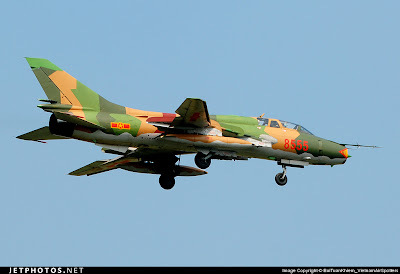 The fighter pilot - a bomb made Su-22M4 aircraft fire when all of the complicated and difficult than a normal shot. After two days of training, Colonel Tran Ngoc Dong, Division Chief Division 370 Air Force, said the units involved in fire tests are reached or excellent. There are many young pilots (pilots born in 1984) shows good bravery and technical level. 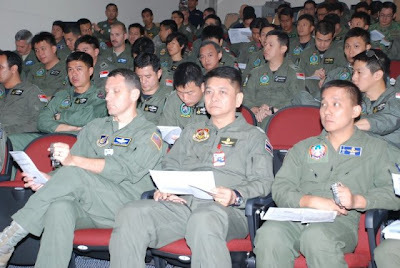 After the training tests, even though faculty comments sum up the results, but the comrades Military Training Director General Command and Deputy Commander, Chief of Air Defense - Air Force are satisfied and that the pilots were required to complete a good strategy and techniques to ensure absolute safety. 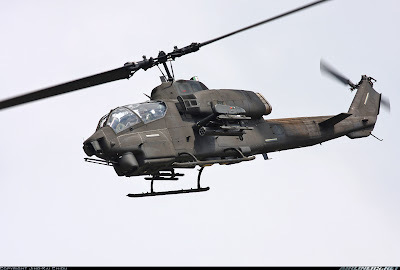 Balikpapan (ANTARA News) - Selain akan dijaga dengan tank-tank Leopard 2A6, perbatasan Indonesia-Malaysia juga bakal dilengkapi satu skuadron heli tempur Bell AH-1W Super Cobra, kata Panglima Komando Daerah Militer (Pangdam) VI Mulawarman, Mayor Jenderal TNI Subekti. "Kami akan tempatkan di Berau dan Nunukan," ujarnya di Balikpapan, Kalimantan Timur, Selasa. Saat ini Kodam VI Mulawarman sedang menyiapkan basis bagi skuadron heli tersebut. "Kami gunakan anggaran antara Rp17 miliar hingga Rp19 miliar untuk persiapan pangkalan skuadron heli tempur tersebut," katanya. 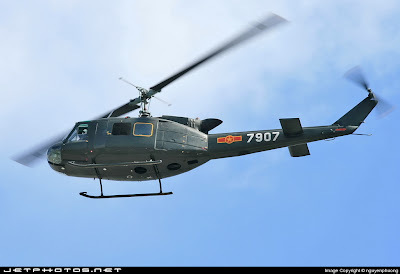 Super Cobra adalah helikopter buatan Bell, Amerika Serikat (AS), dan pengembangan dari Huey Cobra yang berjaya di perang Vietnam. Persenjataannya senapan mesin Gatling 20 mm, roket Hydra, rudal Sidewinder untuk pertempuran udara, dan rudal penghancur tank Hellfire. "Super Cobra ini adalah pilihan utama. Namun demikian, kami punya pilihan lain yang lebih bersahabat dengan keuangan, yaitu heli serbaguna Agusta Westland," ujar mantan Asisten Perencanaan (Asrena) Kepala Staf TNI Angkatan Darat (Kasad) tersebut. Heli tempur buatan Bell itu senilai sekira 11,3 juta dolar AS (setara Rp96 miliar) per unit. Untuk komplet satu skuadron dengan 16 pesawat, maka pemerintah RI menyediakan tidak kurang dari Rp1,53 triliun. Harga tersebut belum termasuk persenjataannya. Super Cobra berkemampuan jelajah hingga 510 km pada kecepatan maksimum 277 km per jam, kecepatan menanjak 8,2 meter per detik, dan bisa mengambang di udara pada ketinggian 3.720 meter. Dengan berpangkalan di Nunukan yang berbatasan langsung dengan Malaysia, maka SuperCobra hanya perlu beberapa menit untuk sampai di perbatasan dan menyelesaikan misinya. Adapun helikopter Agusta Westland nilainya lebih murah. Heli tempur Agusta Westland AW 109LUH harganya 9 juta dolar AS (setara Rp76,5 miliar) per unit, atau total Rp1,22 triliun untuk satu skuadron. 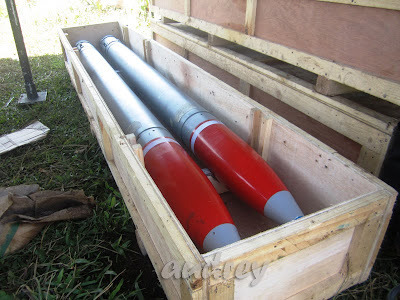 Selanjutnya, Kodam Mulawarman akan dilengkapi tiga batalyon gabungan infanteri dan artileri yang memiliki persenjataan anti tank yang dapat membidik tank dari jarak 6 km, serta sistem peluncur roket serentak (multiple launch rocket system/MLRS) Astros II buatan Brazil. "Dengan amunisi roket aslinya, jarak tembaknya bisa mencapai 300 km, atau 70 km dengan amunisi roket lain," jelas Subekti. Bersama satuan tank Leopard, maka seluruh persenjataan dan personel baru ini akan tersedia secara bertahap mulai 2012. Menurut dia, akan sangat berdampak pada perimbangan kekuatan dengan negara-negara tetangga Indonesia, terutama yang berbatasan langsung di Kalimantan. Perth – Quickstep Holdings Limited (ASX Ticker: QHL), an Australian-based advanced composites manufacturer, is pleased to announce it has completed the first production parts for the international F-35 Lightning II Joint Strike Fighter (“JSF”) program under the Purchase Order secured by Quickstep in July 2011. 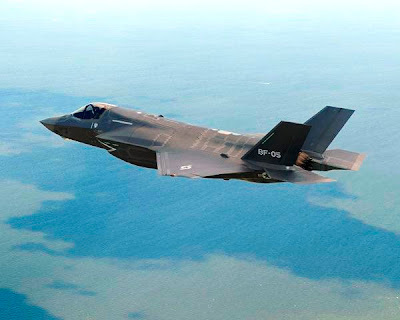 The parts have been presented for acceptance to Northrop Grumman weeks ahead of the schedule agreed with Northrop Grumman in 2009.The parts, assembled access panels for the F-35 aircraft, represent the first “flying” Group 1 parts manufactured by Quickstep for the JSF program. Quickstep initially expects to manufacture approximately one completed part per week and will gradually ramp up in quantity. Quickstep’s Managing Director, Mr Philippe Odouard, said the commencement of commercial JSF production was a very significant event for the Company and demonstrates that Quickstep has successfully completed the very challenging development, contract negotiation and industrialisation phase and has moved into the production and revenue phase. “This represents the start of Quickstep’s first major production contract for the international defence industry – a core part of the Company’s growth strategy,” Mr Odouard said. Quickstep recently received its second Purchase Order for Group 1 parts covering manufacturing and delivery throughout 2013. While details of Purchase Orders will continue to remain confidential, the 2013 Purchase Order represents a 3 fold increase in JSF part deliveries compared to 2012 quantities and Quickstep’s production ramp up will be completed to meet this timetable. “To date, Quickstep has met, and in many cases outperformed, all JSF delivery deadlines agreed with Northrop Grumman – a record of which we can be justifiably proud,” Mr Odouard said. Quickstep expects to secure Long Term Agreements to manufacture Group 2 and Group 3 JSF parts during 2012, which would increase the number and types of JSF parts the Company, will manufacture. 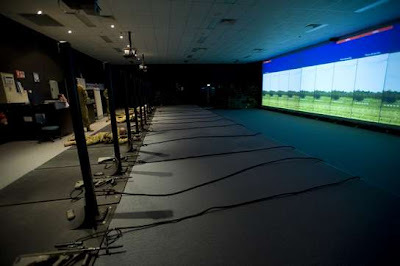 Meggitt Training Systems (MTS), makers of FATS® simulation technologies, has been awarded a USD $11 million contract from the Australian Defence Force (ADF) for delivery of Weapon Training Simulation Systems (WTSS) at four purpose-built Australian Army facilities. This brings the total number of WTSS facilities to 25, further reinforcing the long-term relationship between MTS and the ADF. Meggitt’s WTSS is a complete small arms training environment that includes individual training in marksmanship and weapons handling. It is configured for the future adoption of mortar simulators for crew and collective training missions with an integrated capability supporting call for fire and indirect fire tasks. WTSS includes MTS’ new FATS M100 system architecture designed to deliver new levels of realism in virtual firearms training. The system also enables training developers to use and integrate the latest graphics platforms to best effect. Jakarta (ANTARA News) - Kementerian Pertahanan berencana membeli empat pesawat tanpa awak dari Filipina. Sejauh ini, rencana pembelian pesawat tanpa awak itu masih menunggu persetujuan DPR. "Yang paling spesifik dalam masalah pembelian 4 pesawat tanpa awak ini sebesar 16 juta dolar Amerika Serikat, apabila disetujui oleh DPR sehingga kontraknya efektif, maka pesawat itu akan diterima dalam waktu 18 bulan setelah kontrak," kata Sjafrie. Ia menjelaskan, pesawat tanpa awak ini mampu terbang dengan radiusnya 200-400 kilometer. Pesawat tanpa awak ini juga, kata dia, dapat dioperasikan manual dengan daya jelajah terbang selama 20 jam. Ia menambahkan, produk Filiphina ini dibuat oleh Kital Philippine Corporation (KPC). Mereka mengkombinasikan mesin dari Italia, infrastruktur dari Filipina dan teknologi dari Israel. "Kami membeli teknologi. Ini yang perlu bapak-bapak ketahui bahwa kita tidak membeli ke Israel tetapi membeli teknologi sebagai bagian yang terintegrasi ke dalam sistem yang ada di pesawat tersebut. Kami berhubungan ke perusahaan asal Filipina, Kital Philippine Corporation (KPC) itu. Dan kami tidak berhubungan dengan Israel," jelasnya. Sementara itu, anggota Komisi I DPR dari Partai Gerindra Ahmad Muzani meminta rencana pembelian pesawat tanpa awak tersebut dibatalkan sebab Indonesia sudah bisa mempunyai produk serupa bahkan dibeli negara tetangga seperti Malaysia. Ketika menjawab Muzani, Sjafrie menerangkan produk Indonesia belum memenuhi standar yang sudah ditetapkan. Misalnya soal radius terbang yang 200 kilometer, tidak bisa digunakan secara otomatis serta soal kamera. Ia meminta agar Indonesia tetap membeli empat pesawat tanpa awak teknologi Israel itu. 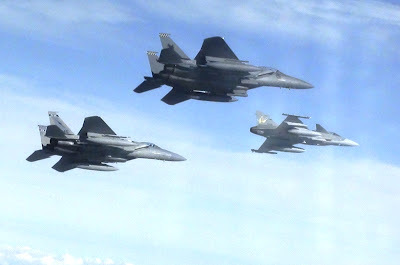 For the past two weeks, there was much rumbling in the skies over Korat, Thailand, as Singapore, Thailand and the United States conducted a trilateral air exercise codenamed Cope Tiger. Involving about 100 aircraft, 34 ground-based air defence systems and more than 2,000 personnel from the participating nations, this year's exercise also saw the maiden participation of the Republic of Singapore Air Force’s (RSAF's) F-15SG fighter aircraft. The exercise began last year with a command post exercise held at Paya Lebar Air Base in Singapore from 19 to 23 Dec, followed by a flying training exercise in Korat Air Base from 12 to 23 Mar. It concluded on 23 Mar at Korat Air Base with the closing ceremony officiated by Singapore's Chief of Air Force, Major-General Ng Chee Meng; Commander-in-Chief of the Royal Thai Air Force (RTAF), Air Chief Marshal Itthaporn Subhawong; and Commander of the United States 13th Air Force, Lieutenant-General Stanley Kresge. On how the exercise has evolved over the years, RSAF Exercise Director Colonel (COL) Tommy Tan, who also heads the RSAF's Unmanned Aerial Vehicle Command, said: "Exercise Cope Tiger has progressed steadily, both in scope and complexity. The assets involved are increasingly advanced, and this has helped to add realism to training, enhancing the training benefits for the participating forces." RTAF Exercise Director Group Captain Thawonwat Chantanakom added that the annual exercise creates a good opportunity for the three air forces to work together and enhance interoperability, and to forge stronger bonds. He said: "Exercise Cope Tiger is important because it helps to build friendship and defence relations between the three nations. It also serves as a great platform for exchanges and sharing so that our forces will be able to assist one another should the need arise." On the sidelines of the exercise, the participants also took part in a three-day joint socio-civic programme, where they provided basic health and dental services to the local community in the vicinity of Korat Air Base and Chandy Range. Since 1994, Exercise Cope Tiger has been conducted annually to enhance professionalism and interoperability among the participating forces, and foster closer rapport and mutual understanding among their personnel. This year's exercise is the 18th in its series. Rencana pemerintah untuk mempercepat modernisasi TNI disambut baik oleh kalangan industri pertahanan di tanah air. Dalam pameran APSDEX 2012 yang menyertai penyelenggaraan JIDD beberapa produk baru bermunculan sebagai bentuk pengembangan teknologi yang terus dilakukan oleh kalangan industri pertahanan Indonesia. Materi pameran dari sisi riset dan pengembangan banyak didominasi oleh karya dari BalitbangKemhan dan Dislitbang dari Ketiga Angkatan dan Polri yang menampilkan produknya, ataupun miniatur produknya. 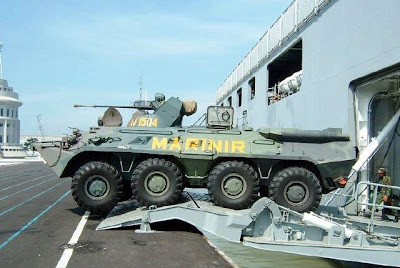 Produk baru yang ditampilkan untuk matra darat diantaranya adalah Senjata Lawan Tank dengan nama SLT Latih 64mm dan dengan kaliber yang lebih besar yaitu 90mm. Demikian juga roket pertahanan 2 tingkat “Kartika” yang mampu menjangkau sasaran darat hingga 21 km dan kecepatan hingga 2-3 mach. Untuk matra udara kali ini ditampilkan miniatur pesawat kerjasama Indonesia-Korsel KFX/IFX, juga UAV “Alap-Alap” yang telah diuji coba beberapa kali, termasuk diantaranya dengan pemakaian jaring untuk menghentikannya. Ciri khas UAV ini adalah ekornya yang berbentuk huruf V terbalik. Untuk matra laut ditampilkan miniatur kapal FPB-40 yang dilengkapi dengan dua set rudal anti kapal dan satu sea-rider. Kapal ini menganut desain compact sehingga terlihat seperti jejalan senjata termuat di atasnya. Prototipe rudal permukaan ke udara juga ditampilkan, rudal berkecepatan 0,8 mach dengan seeker dari gimbal image processing ini untuk digunakan di atas kapal. Pindad kali ini menampilkan varian terbaru dari senapan SS2 yaitu SS2V5A1 yang diperuntukkan bagi satuan Brimob Polri. Pada varian ini handgrip senapan digantikan dengan lensa bidik. 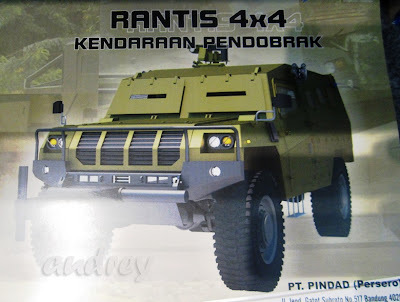 Untuk kendaraan taktis kali ini Pindad memperkenalkan kendaraan berpenggerak 4x4 dengan nama Komodo dan dibuat dalam 2 versi : panser dan kendaraan pendobrak. Wujud asli kendaraan belum dibawa namun pengunjung dapat melihat foto dan brosur kendaraan tersebut. Mengenai program pembuatan tank nasional, Pindad saat ini telah menyelesaikan prototipe tank ringan. Dalam triwulan kedua tahun 2012 perusahaan ini juga akan mulai mengembangkan prototipe tank medium, tank ini akan mempunyai berat sekitar 28-30 ton. Pada beberapa kesempatan TNI AD mengemukakan bahwa satuan kavaleri TNI AD membutuhkan 53 tank berukuran medium disamping MBT dan panser kanon. PT Pindad juga menyatakan kesiapannya jika TNI AD jadi membeli tank Leopard 2 dan kemudian akan diupgrade menjadi tipe Leopard 2A6, seperti halnya ketika Angkatan Darat Singapore membeli Leopard 2A4 kemudian upgrade-nya dilakukan oleh ST Kinetics. Di anjungan PT Dirgantara Indonesia, Defense Studies sempat berbincang dengan Direktur Aerostructure Andi Alisjahbana mengenai CN-235MP, CN-235MPA, dan B737MR. Tiga pesawat patroli maritim pesanan TNI AL dengan jenis CN-235MP dikembangkan berdasarkan pengalaman PT DI dalam memodifikasi pesawat CN-235 Angkatan Laut Turki menjadi versi anti kapal selam (ASW role) dikenal sebagai Meltem Project. Dengan konsep tersebut maka posisi radar tidak lagi ditempatkan di hidung (seperti CN-235MPA) namun akan diletakkan di perut (seperti CN-235 Korea Coast Guard). Sayap pesawat akan dilengkapi dengan 4 hardpoint untuk membawa torpedo ukuran medium dan atau rudal. CN-235MPA untuk TNI-AU yang saat ini masih satu buah, akan segera diikuti dengan pesanan lagi sebanyak 2 unit sehingga menjadi genap 3 unit seperti pesanan awal. Rencananya TNI AU akan menjadikannya sebagai skadron intai taktis yang akan ditempatkan di Selat Malaka. Mengenai rencana upgrade 3 pesawat intai B737MR milik TNI AU, Direktur PT DI ini mengatakan bahwa kondisi pesawat Boeing 737 tersebut masih bagus, namun PT DI siap untuk dilibatkan dalam rencana upgrade radar SLAMMR buatan Motorola tersebut. 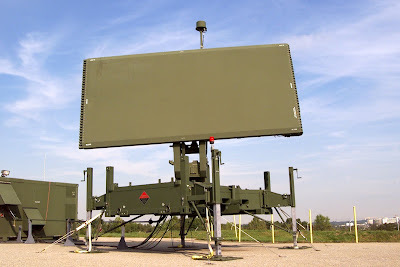 PT DI pun telah mempunyai konsep jika TNI AU berkehendak mengganti radar tersebut, tipe radar yang akan diajukan adalah radar non putar untuk menghindari adanya hambatan mekanis. Policy pemerintah untuk membagi pekerjaan pembuatan kapal perang TNI AL kepada 3 galangan utama dapat dipahami oleh PT PAL. Saat ini PT Palindo di Batam mengerjakan Kapal Cepat Rudal 40m (KCR-40), PT DKB di Jakarta selain menyelesaikan satu LCU untuk TNI Angkatan Darat juga akan mengerjakan kapal LST 117m dan Replenishment Oiler Ship (kapal BCM) untuk TNI AL. 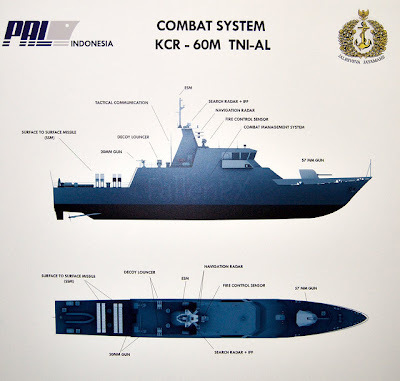 PT PAL saat ini kebagian pekerjaan pembuatan Kapal Cepat Rudal KCR-60, upgrade Combat Management Systems SEWACO kapal kombatan milik TNI AL, dan saat ini PT PAL masih menunggu keputusan pemerintah mengenai pembangunan fregat PKR-105, dimana perundingan ToT dengan Damen Schelde dirasakan alot dan memakan waktu lama. Pada sisi yang lain PT PAL juga menunggu keputusan Filipina atas tender pengadaan LPD untuk Angkatan Laut negara itu , PT PAL bersaing dengan Korea dan mengajukan konsep Strategic Sealift Vessel berdasarkan pengalamannya membangun KRI Banjarmasin dan KRI Banda Aceh. Bertempat di Jakarta Convention Center, pada tanggal 21-23 Maret 2012 digelar perhelatan Jakarta International Defense Dialogue (JIDD) yang diikuti dengan penyelenggaran pemeran Asia Pasific Security and Defense Expo (APSDEX 2012). Pameran ini lebih banyak menampilkan alutsista produksi dalam negeri, meskipun beberapa peserta ada juga yang berasal dari negara lain. Defense Studies menyempatkan diri untuk berkunjung ke anjungan PT LEN, PT INTI, dan PT CMI dalam kesiapannya untuk mengikuti tender pengadaan radar pertahanan udara setelah Thales Raytheon Systems menyelesaikan pemasangan tiga radar pertahanan udara jenis Master-T di Merauke, Saumlaki dan Timika. Berkenaan dengan rencana pemenuhan MEF hingga tahun 2024 dalam bentuk tersedianya 32 instalasi radar yang dapat mengcover seluruh wilayah Nusantara maka beberapa daerah direncanakan untuk dipasang radar antara lain Jayapura, Manokwari, Morotai, Poso, Singkawang, dan Tabulang. Tender terakhir yang dilaksanakan mensyaratkan radar pertahanan udara jarak jauh jenis 3D dengan jangkauan 400km. PT Inti rencananya akan menggandeng perusahaan asal AS NorthropGrumman, radar yang ditawarkan adalah AN/TPS-78 yang merupakan pengembangan lebih lanjut dari AN/TPS-70 yang telah menyandang predikat ‘combat proven’ dan digunakan di lebih dari 20 negara termasuk Thailand. Radar ini disebutkan mempunyai keunggulan dalam air mobility. Keseluruhan sistem dapat diangkut dalam satu pesawat C-130 Hercules dan dapat diinstall dalam 30 menit. Keunggulan lainnya adalah radar ini lebih tahan jamming. AN/TPS-78 adalah radar 3D yang beroperasi dalam frekuensi S-band (2-4 GHz) dan disebutkan mempunyai jangkauan 240 nautical miles (455km). Kerjasama PT Inti dan Northrop Grumman akan dideklarasikan pada bulan April 2012 di Bali. Melalui kesepakatan tersebut PT Inti akan mendapatkan porsi pekerjaan 40% sedangkan sisanya dikerjakan oleh Northrop Grumman. PT CMI Teknologi telah menandatangani kerjasama dengan Lockheed Martin pada bulan Maret 2012. 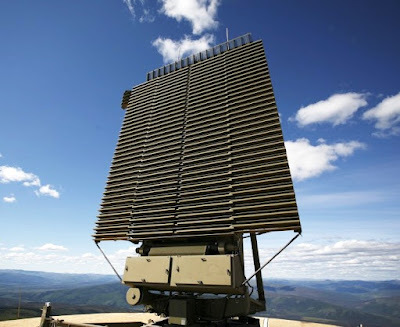 Sesuai dengan kesepakatan tersebut maka terhadap produk radar AN/TPS-77 yang dipasarkan oleh Lockheed Martin maupun CM-77 yang dipasarkan oleh PT CMI semuanya mengandung komponen modul buatan CMI. Radar AN/TPS-77 beroperasi dalam frekuensi L-band (1-2 GHz), mempunyai jangkauan 250 nautical miles (463 km) dan telah digunakan di 22 negara, tetangga terdekat yang menggunakannya adalah Australia dan Singapore . Keunggulan radar ini adalah mampu mendeteksi sasaran di bawah horizon hingga -6°. Jika radar ini dipasang di atas bukit maka mampu mendeteksi penerbangan pesawat atau helicopter yang terbang rendah mengikuti kontur lembah. PT CMI Teknologi sebagai perusahaan mikrowave asal Bandung sebelumnya telah berhasil membuat microwave signal processor untuk pesawat F-5 dan F-16 yang digunakan Indonesia ketika mengalami embargo. Kualitas produk yang dihasilkannya dinilai baik oleh Lockheed Martin sehingga memilihnya sebagai mitra untuk bekerja sama. Thales Raytheon Systems baru saja menyelesaikan pemasangan 3 radar pertahanan udara jarak jauh jenis Master-T untuk Indonesia Bagian Timur. 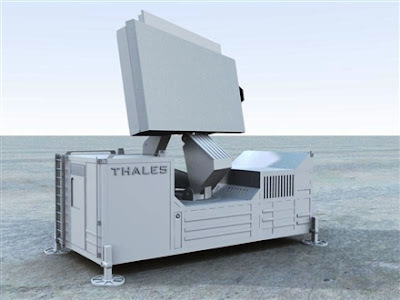 Dalam website resmi Thales Raytheon disebutkan bahwa TRS dan PT Len Industri telah sepakat untuk bekerjasama dalam pengadaan radar berikutnya bagi TNI, dan hal ini dibenarkan oleh anjungan PT Len Industri dalam pameran ini. Mengenai jenis radar yang akan diajukan, pihak PT Len Industri mengatakan bahwa radar Master-T tetap akan diajukan, namun tidak menutup kemungkinan untuk mengajukan radar seri lain yaitu Ground Master 400 (GM-400). 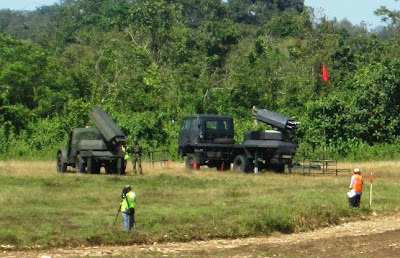 Radar GM-400 ini telah dipesan juga oleh Angkatan Udara Malaysia. Sama seperti radar Master-T, radar GM-400 beroperasi pada frekuensi S-band (2-4 GHz) dengan jangkauan 470 km. 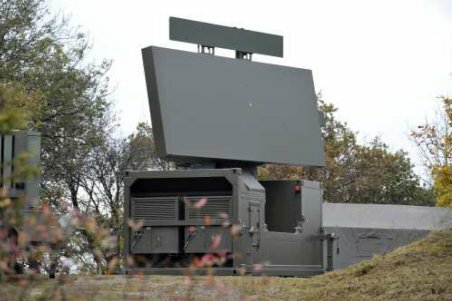 Disain radar GM-400 tergolong unik karena radar head dan cabin-nya digabung, meskipun hal ini akan membuat ukuran cabin menjadi kecil namun menjadikannya sebagai radar yang kompak. Dari kerjasama PT Len dan TRS ini maka PT Len akan mendapatkan porsi 40% dalam muatan lokal jika duet ini memenangkan tender. (PresseBox) Duesseldorf - Located amid some of the world's most strategic shipping lanes, Malaysia is an influential member of the Asia-Pacific region, serving as an intermediary between the West and the Islamic world. Modern, well-equipped armed force and security services form an important component of its multilateral security policy. 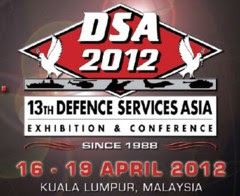 The Defence Services Asia (DSA) tradeshow takes place in Kuala Lumpur 16-19 April. Rheinmetall will be on hand at DSA, showcasing an impressive array of products and services. Force protection Whether the requirement is protecting friendly forces from optical, optronic or electronic surveillance; supplying innovative vehicle protection systems; or safeguarding critical infrastructure from attack, Rheinmetall offers a full range of system solutions - all from a single source. Among the passive protection systems on show at DSA is the VERhA line of products from Rheinmetall Verseidag Ballistic Protection Systems (RVBP). These include lightweight high-performance materials which can be built into special vehicles, helicopters and ships for protecting passengers and crew. Visitors can also inspect inserts for ballistic vests made of these materials. For the first time, Rheinmetall will be presenting a three-dimensional ceramic composite component at DSA used for hardening the driver's cab of the new protected HX trucks made by Rheinmetall MAN Military Vehicles (RMMV). It is earmarked for Australia's LAND 121 programme, for which RMMV was selected as preferred bidder. Another exhibit from the "VERhA-Land" portfolio are the doors from the HX series, which were also developed using high-tech composite materials. Ultra-light spall materials from Rheinmetall Verseidag Protection Systems will be used in a forthcoming armoured vehicle-program. Specially developed for the purpose, it performs particularly well in overmatch situations, significantly reducing the fragmentation cone despite the low addition to the vehicle's total weight. In the naval domain, RVBP develops and produces customer-specific passive protection solutions ("VERhA-Marine"). On behalf of the Malaysian Navy, for example, RVBP has equipped the first six MEKO A-100 Kedah-class warships with composite armour. In addition, Rheinmetall Chempro will be presenting its Mobile Modular Protection System, or MMS. Reinforcing checkpoints, hardening shelters in combat outposts and forward operating bases and shielding portholes or machine gun positions on board ships are just a few of the potential applications for the highly flexible MMS, which can be quickly deployed in all climate zones in accordance with STANAG 4569, even in difficult terrain. In the realm of active protection, Rheinmetall supplies high-performance "soft kill" solutions for ground vehicles, fixed-wing aircraft, helicopters and ships. Smoke/obscurant protection systems like "Rosy" render vehicles invisible to the enemy if attacked, while Rheinmetall's MASS naval countermeasures system now sets the standard worldwide. A decoy-based system, MASS produces phantom targets that reliably divert enemy missiles from their intended targets. "Hard kill" systems serve as a last line of defence, engaging incoming projectiles immediately before they hit their target, as with Rheinmetall's ADS vehicle protection system. One of Rheinmetall Defence's special strengths is the integration of new and existing products and systems into a highly effective whole. Among other products, at DSA Rheinmetall's recently created Electro-optics division will be presenting its Vingtaqs II+ observation system, which is capable of precise collection and transmission of target data even over long distances. Vingtaqs II+ features a fully integrated ground surveillance radar and can also serve as a laser target-marker, e.g. for forward artillery observers and forward air controllers. It can be integrated into vehicles or deployed in dismounted operations. The Malaysian armed forces have selected the Vingtaqs II+ to equip their family of 6x6 vehicles. At DSA, it can be seen at the stand of Rheinmetall's customer Deftech. Moreover, Rheinmetall will be presenting various night observation devices, including GN night vision goggles and the KN 200/250 night vision sight. These make it possible to detect potential threats in the dark and in conditions of poor visibility and adopt appropriate countermeasures. Also on display will be the Group's tried-and-test laser pointers, laser target markers and laser light modules, including the Vario Ray (LLM-VR) and the LLM01, already used by numerous armed forces and security services. Rounding out the division's array of products on show will be the Dismounted Soldier Identification Device/DSID (a friend/foe identification system) as well as the FeLVis fire control unit and its successor, the MultiRay, specifically designed for 40mm low-velocity ammunition. The VinPos Mortar fire control system is specially designed for mortars. Its positioning and navigation features make it easier for the crew to precisely determine their own position, in turn enabling exact laying and engagement. Besides the Saphir 9.6 aiming device and a fire control unit, the Vingmate aiming and fire control system features a combined tripod and gun cradle. It is thus suitable for various 40mm automatic grenade launchers such as the MK19, but also for heavy .50 cal. machine guns like the BMG, or even 20mm automatic cannon such as the GAM B01. As a token of its commanding lead in the field of 40mm technology, Rheinmetall will also be showcasing a wide array of 40mm x 46 (low velocity/LV and MV medium velocity) and 40mm x 53 high velocity (HV) cartridges, ranging from practice rounds and non-lethal products to highly effective service ammunition, including 40mm x 46 MV and 40mm x 53 HV time-delay airburst rounds. Rheinmetall has developed the Cerberus grenade launcher and Hydra automatic grenade launcher specially for firing medium-velocity ammunition. Both feature hydraulic shock absorbers that reduce the recoil to the level of LV ammunition. In the munitions domain, Rheinmetall is presenting an improved flash-bang stun grenade with bottom-top-vent (BTV) technology. Its new chamber system is designed to enable different decibel levels: 180 dB for military applications, 170 dB for law enforcement operations. For maximum flexibility, the new generation can be fitted either with a conventional flash-bang charge or a newly developed perchlorate-free flash-bang charge. The new perchlorate-free charge has the added advantage of producing less smoke. Rheinmetall has also enhanced its classic fast-acting SPIRCO smoke grenade. The new ISIS (InfraRed Smoke Instantaneous Spread) red phosphorous smoke/ obscurant grenade also provides split-second protection from hostile detection by opponents equipped with optics, night vision or infrared devices. To enable its customers to detect and engage hostile forces around the clock, Rheinmetall developed its handheld MITHRAS signalling and illumination rockets. They are available for ranges of 300, 600 and 1,000 metres, and come in normal and IR versions. The British armed forces have already introduced the MITHRAS signalling rocket. Cutaway models of the Group's successful family of 25mm and 30mm ammunition round out the range of Rheinmetall products on display at DSA. Its 30mm ammunition has been selected as a forward-looking solution for the main armament of the Malaysian military's new 8x8 vehicle - a source of great pride at the Düsseldorf, Germany-based Group. Rheinmetall has in any case been cooperating successfully with Malaysian ammunition maker SME Ordnance for years. The Rheinmetall products on display at DSA underscore once again the versatility of a globally leading systems supplier and longstanding partner of the armed forces and security services of Malaysia and its neighbours.